We understand that having visibility of your vehicle and its precious cargo is important to you. This is why Matrix places you in the driver’s seat by offering you access to an online vehicle tracking system and your own personal vehicle management dashboard. 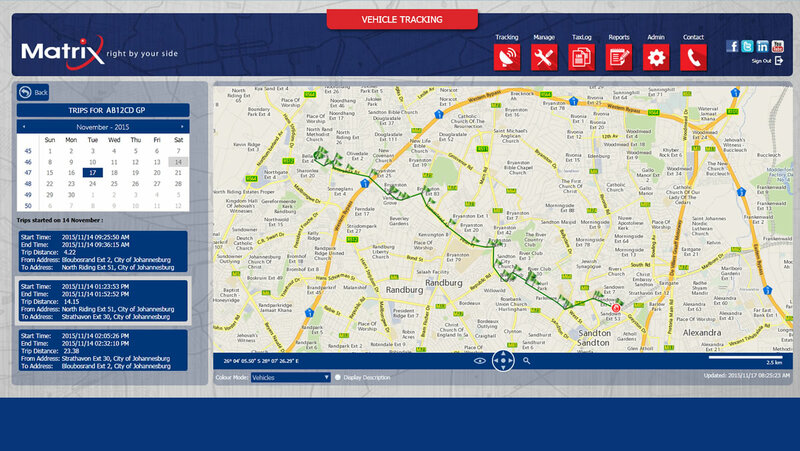 The sophisticated online platform allows you to view where your vehicle is on an interactive map, see how it is being driven and obtain extensive reporting on past trips. Through the portal, you can also customize your alerts- allowing you to be proactive with your vehicle’s security.